Starpoints, the currency of the SPG Hotel Chain, are usually considered the most valuable transferable points/miles currency out there. That’s because not only can the points be used at SPG hotels like Radisson, St. Regis, W Hotels, Westin, etc. but they can be transferred at a 1:3 ratio to Marriott for use at their hotels. In addition, SPG points can be transferred to a host of airlines at a 1:1 ratio – but when you transfer 20,000 points at one time, SPG gives you a 5000 mile bonus. Just take a look at all these partners! 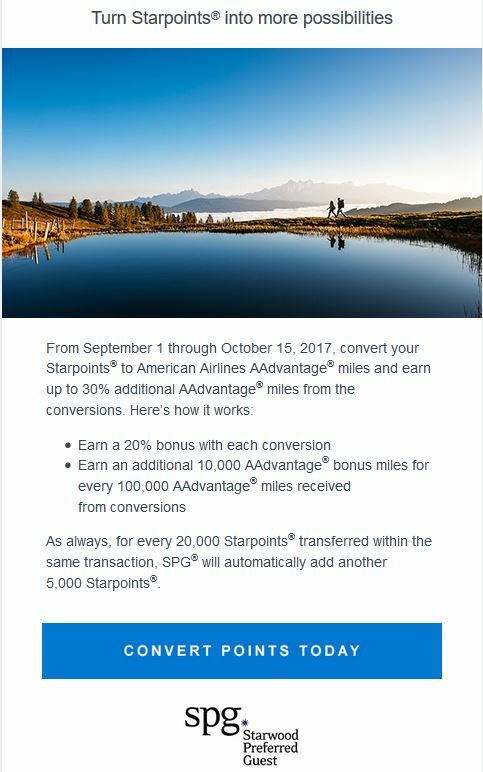 From now through October 15, there is a promotion between SPG and American airlines where when you transfer points to AA, a 20% bonus will apply after the conversion. So if you transfer 20K points to AA, SPG gives you 5000 miles and you end up with 25K AA miles. Then a 20% bonus applies and you get another 5000 miles. In addition, for each 100K miles transferred during this promotion, you get a 10K AAdvantage mile bonus. Now this must be done in multiple transactions over multiple days because SPG limits you to 79K points converted in a single day. So if on Day 1 you convert 60K points (resulting in 75K AA miles before the bonus) and on Day 2 you convert 20K points (resulting in 25K AA miles before the bonus) you’d not only get the 20% bonus each day (15K on Day 1 and 5K on Day 2), you’d then get an additional 10K bonus resulting in a total of 130K AA miles. If you’re in need of AA miles this is a great way to boost your balance quickly. The transfers are not instant. Research over the past couple of years seems to indicate it takes a minimum of 2 days and perhaps as many as 4 days for the miles to show up in your AA account. But you don’t have to wait for the miles to show up to initiate another transfer. So with the example above you could transfer the 60K points today and the 20K points tomorrow even though you wouldn’t see the miles reflected in your account until mid-week. If you’re ready to transfer points, follow the link in the email you should have received from American Airlines or click here. 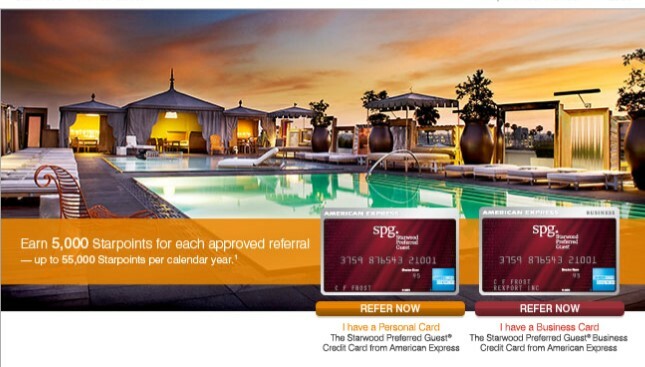 About once a year the SPG Amex offers an increased sign-up bonus of 30,000 points, which is 5,000 more points than normal. This year the time is now through September 14, 2015. Note that you must be approved by September 14th to receive the bonus, not just apply by that date. If you’ll allow me to refer you for a personal card, I’ll get a 5,000 point bonus as well, once you’re approved. Just send an email to 2btraveling@gmail.com. All I need is your first name and the email address where you’d like the invitation sent. 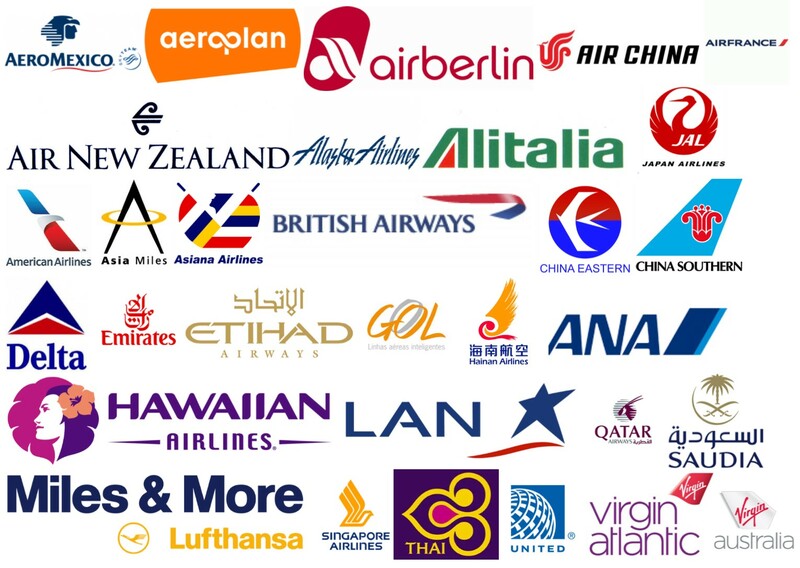 Starwood points are extremely valuable, not only as hotel points but also because of their value in transferring to a whole host of airlines. 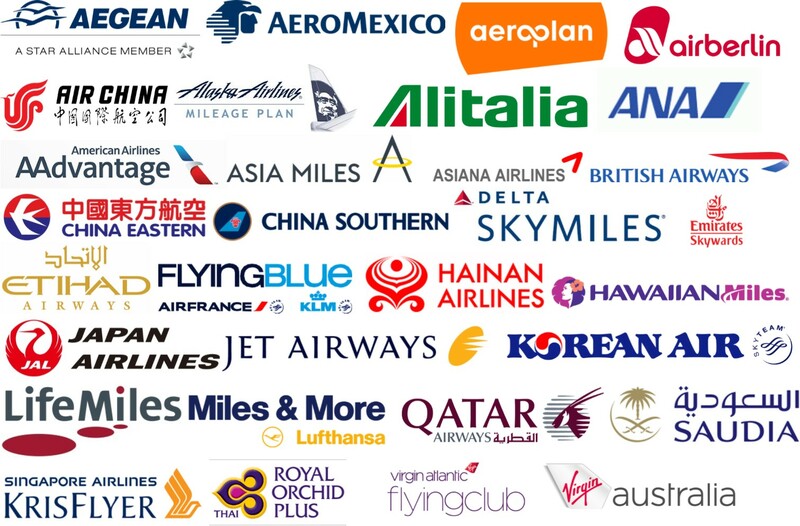 In fact most airlines transfer at a 1:1 basis and when you transfer 20,000 points at a time, you receive a 5,000 point bonus so that you end up with 25,000 points in your airline’s frequent flyer account! 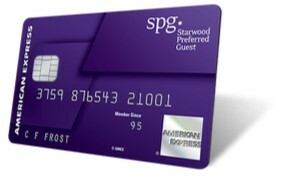 And Starwood has recently given the card a make-over, changing it from the familiar maroon to a snazzy purple design that includes chip + signature technology.